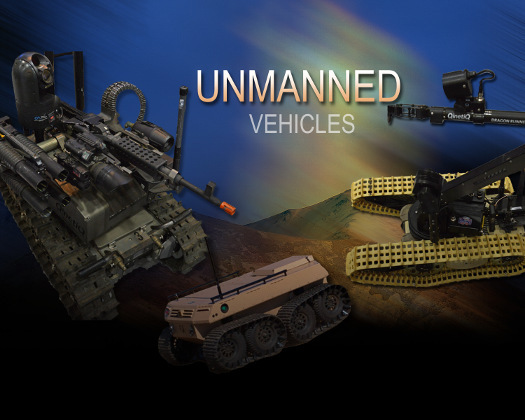 Sadowski, the Army's chief roboticist at U.S. Army Tank Automotive Research Development and Engineering Center, or TARDEC, in Warren, MI, spoke at a robotics conference in Springfield, VA, March 2. The enemy is also developing these systems, he said, "so if we don't play in this space, we're not even going to understand what the enemy is doing." Over the last 10 years, the Army has focused on logistical challenges in Iraq and Afghanistan, Sadowski said. A lot of Soldiers were lost in convoys that encountered improvised explosive devices, and the funding and research went into stopping that. Once that technology matures and is fielded, the problem is that, "If you replace 16 drivers with 16 autonomous vehicles, you've just lost 16 M-16s that the drivers would be carrying to protect the convoy," Sadowski said. "So you'd need to consider arming the autonomous vehicles, with a Soldier being the remote triggerman." Possibly by the end of this year, that experiment at Savannah River will morph into an extended warfighter experiment or an Army warfighter assessment at Fort Bliss, TX, he added. The Marines tried this with a robot in Afghanistan, a mule-like device that followed a patrol dismounted, he said. It was rated for 1,000 lb, but the Marines loaded it up with 2,000 lb. Then they complained it was too slow. So in the future, Sadowski said, perhaps robots need to be able to talk back and say, "Sir, I can't carry that." Future robotic development may go to warp speed by using modeling and simulation, saving time and money by plugging scenarios into computers and testing vehicles in dirt, mud, snow, sand, rain, and so on, he said. To get a peek at the future, look at what's being done already, he said. The Army teamed with Sikorsky and Lockheed Martin to rig a UH-60D helicopter to fly autonomously carrying a robot as its payload. It flew without the aid of a pilot to its destination, dropped off the robot, and flew back. Had it had problems along the way, say with its engine, a sensor was programmed to look for possible landing sites along the way. Also, the robot payload, which was slingloaded, was balanced by the computer, which gave it even more stability in-flight than a pilot could have done, he said. In Australia, an experiment will take place in the coming months where an operator in the U.S. will remotely guide a robot through the outback with just a second of latency from control to action using satellite technology, he said. It will also be red-teamed, he added, meaning that operators will try to hack into it to take control away from the "friendly" operator. Robotics isn't new, said Sadowski, who has a doctorate in electrical engineering and is a retired Soldier himself -- a grad from the U.S. Military Academy at West Point, NY. He's also had some 40 months of operational experience in robotics in Iraq and Afghanistan. For example in the 1950s, the Army developed a robot called Little David, which was driven by remote control. It had a TV camera on it, a machine gun, and even a flame thrower.